Brown and Associates has been supplying Montana with surveying, engineering, and land planning services since 1972. Since 1985 we have also been actively engaged in buying, selling and developing real estate in the Southwest Montana area. We are an active member of the Butte Multiple Listing Service (MLS), Montana Association of Registered Land Surveyors, and the National Association of Realtors. We provide all types of land surveying services, including boundary retracements and relocations, ALTA surveys, topographic and elevation surveys, and subdivision design and planning. In addition to surveying we also provide engineering services such as sewer, water, storm water run-off system design, and floodplain engineering . We also handle the cumbersome and often frustrating government permitting and review processes. Since 1999 our firm has provided surveying services for the Streamside Tailings and Clark Fork Restoration superfund projects. This superfund cleanup project has been, and continues to be the largest construction and excavation project in the State of Montana. Our staff includes registered land surveyors, professional engineers, engineering interns (EI), land surveyor interns (LSI), draftsmen and AutoCAD technicians, and real estate brokers. Although our services have expanded since our founding, we remain true to the standards of our trade. By combining over forty years of history and experience with cutting edge technology we can provide a high quality of service that meets our client’s budgeting and scheduling needs. We here at Brown and Associates know that all projects are unique and usually have a budget. Get in touch with us today for a free cost estimate and consultation. Dan grew up in the land surveying, planning and subdivision business in Butte and the surrounding areas. Dan has been working for Brown and Associates, Inc for many years offering professional surveying, planning and engineering services. Dan is also a local real estate broker, which has enhanced Dan's understanding of subdivision feasibility and community needs. Certified as a PLS or Professional Land Surveyor, Dan has dealt with county and city planners and courthouse reviews for the past 40 years. Dan is a 1972 graduate of Carroll College. Chad is originally from northwest Montana and graduated from Montana Tech in 2008 with a degree in Civil Engineering Technology and also a 4 year degree in Business and Information Technology degree. He has grown up with a family background in surveying and has previous experience working as a surveyor for Montana Resources in Butte and also Golden Sunlight Mine in Whitehall. His employment at Brown and Associates started in July of 2009. Chad passed his Principles and Practices of Land Surveying (PLS) Exam in August of 2018. Paul is a Bitterroot Valley, Montana native. He graduated from Montana Tech in 2002 with a bachelor's degree in engineering science and an associate's degree in drafting. Paul has been an associate of Brown and Associates, Inc since 1998. Certified as a PLS in 2009 as a Professional Land Surveyor, Paul has been working in the field for over 15 years and brings a wealth of experience to the team here at Brown and Associates. Paul also owns and operates full time Baseline Surveying Company in the Hamilton, MT area. 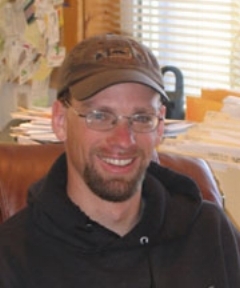 Ryan is a Montana Registered Professional Engineer specializing in subdivision design, water system design, sewer system design, and stormwater evaluations. 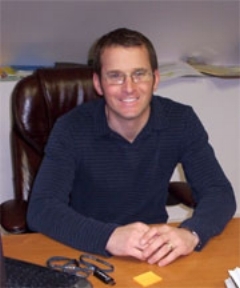 He has over 15 years experience in Montana subdivision planning and permitting, and has completed non-degradation analysis for many public and private wastewater treatment systems. Ryan is very familiar with the subdivision requirements of the Montana Department of Environmental Quality (MDEQ) and their respective permitting processes.